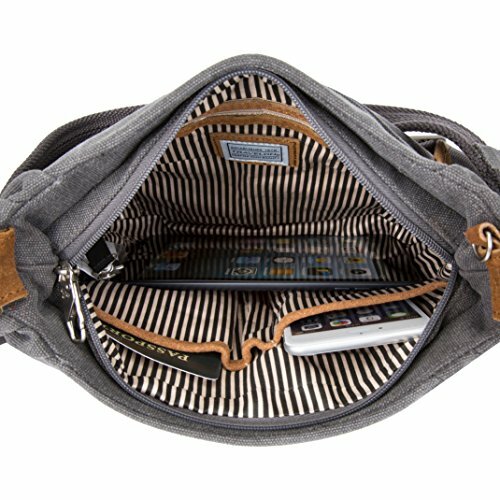 Looking for a stylish, smart and functional bag for your upcoming trip? You need a cross body bag. This is the best way to carry your day to day items securely on your travels while not compromising on style. 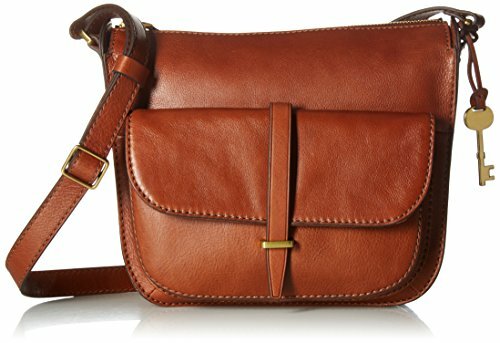 Whether you are exploring a new city or enjoying a beach vacation, a well designed cross body purse is an essential part of your travel wardrobe. 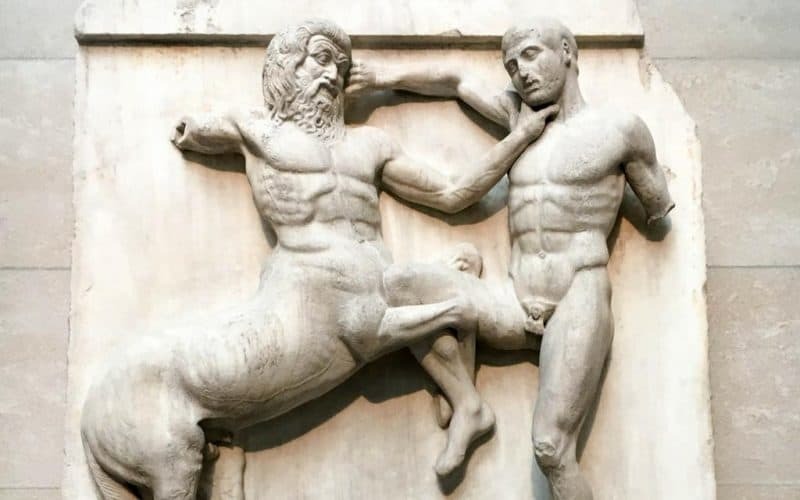 In fact, I often travel with two! One for day and night. We rounded up the best crossbody bags for travel for you below. But if you just want to know which is our favorite – here it is.. This black leather crossbody will fit your phone, small wallet, makeup, a collapsible water bottle, and room key plus more. It’s the ideal bag if you do not need space for a big camera. The Kate Spade Melisse comes in 6 different colors and is fully lined. The bag has a zippered closure, internal and external pockets. I love it because it looks chic and can be used for both day and night time activities. Actually I don’t need a reason to buy a new bag or purse. I love feeling stylish and composed as I head off on my travels. 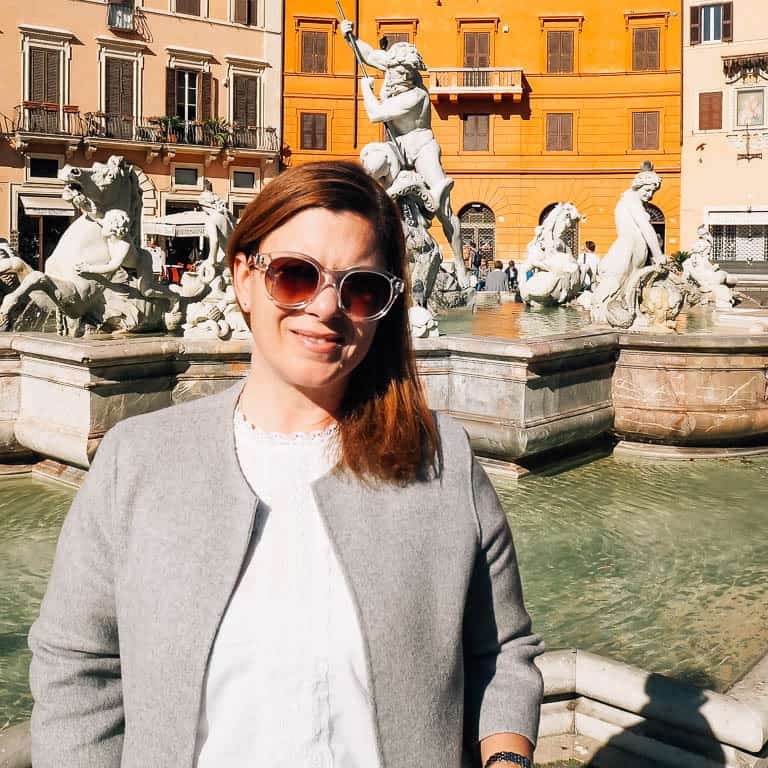 But if you need a little help justifying the purchase here are some great reasons why this type of purse is the right choice when traveling. I don’t know about you but I take a lot of photos when I travel, plus these days I am juggling a couple of kids too. Wearing a crossbody allows you to have everything close by when you need it and they leave your hands free to manage cameras, phones, maps (and children!). I have tried a backpack but not only does it not look so good, it is a pain to take it off and rummage around for what you need. Your shoulder bag is no help either – they are usually big and bulky and can be easily snatched if you are in a large crowd. I think everyone is more conscious of their belongings in an unfamiliar environment. I like to keep my phone and wallet close to hand and my bag in full view. Buy the right cross body and you may not need to take another bag with you. A stylish black leather bag with gold or silver hardware like this one will work for both daytime and night occasions. If you get one with detachable straps you can even buy additional chain straps to change the look of the bag – click here to search purse straps. Here we discuss what to look for in a bag you are taking on your travels from the size, style and features of the bag to the material, size and weight. You will notice I selected some bags that may not be specifically designed for travel. That’s because I don’t believe it is necessary for most types of trips. Plus they often don’t look cute. First think about your upcoming trip(s) and what you will be doing on them. Do you like city breaks and country escapes? Or are you a beach lover or adventure traveler with style? The bag you need for a trip to New York City is probably going to be different to the one you need for a relaxing beach vacation in Hawaii or a trek in Peru! Match your bag to your vacation and your personal style. Make your new bag is one you love – after all, it is likely to be in a few pictures. Speaking of pictures, phones these days take such great snaps that, unless you love photography or need a camera for your work, a phone may be the only camera you need. My Olympus Pen mirrorless camera comes with me wherever I go and fits into all of my small crossbody bags. Now think about what you need every day for your trip. This is different for everyone but I’ve provided some ideas as a starting point. Try to keep only the essentials with you when you travel. At home I might have 3 lipsticks in my bag – oops! But since I discovered this moisturizing lipstick that magically matches my skin tone, that’s the only thing that comes with me in my day bag. Not to mention the store cards etc in your wallet. These can stay at home. Just transfer your travel credit / debit card and a small amount of cash to a small wallet. I like to carry the smallest bag I can get away with. It needs to be lightweight too. If you plan to do lots of walking and sightseeing then you want to make sure your bag is not too heavy that it hurts your shoulders at the end of the day. Unless you are a keen photographer carrying a bulky digital SLR camera plus lenses then you can choose a reasonably small bag. The lightest bags are made of microfiber material but you can also find lightweight leather and vegan leather bags too. Consider the shape and width of the bag. Anything too bulky is going to get in the way of picture taking and be cumbersome to manage. Bags should be adjustable to your height so an adjustable strap is a must. Some bags have removable straps which can be useful if you want to switch up your look. How many compartments do you need in your bag? This is personal preference but I like to have a zippered internal pocket where I can store my passport and small wallet, a place for my phone and not too much else. An external pocket is useful to store tickets and lip balm. Choose your bag material based on the type of places you are visiting. I always think a leather bag (or vegan leather) looks chic in the city. For a beach trip choose a canvas cross body that won’t be damaged by sand and sun. Microfiber, nylon or polyester are good all round options especially if you think your bag is going to pick up a bit of dirt and get some rough treatment. This is a washable material so you can get marks out easily. If you are going to be somewhere that gets very wet consider a water resistant material to protect your belongings. These days you are not restricted to black and brown bags. There are so many interesting colors and patterns to choose from. Make sure you choose a purse that matches the outfits you have chosen for your trip so you feel and look stylish. When in doubt, a black crossbody bag always looks chic. I usually take one of these on my trips as well as a colorful small crossbody purse for the evening. Kate Spade New York – known for colorful and practical design, you can alway rely on Kate Spade for a useful bag that will complement your wardrobe. 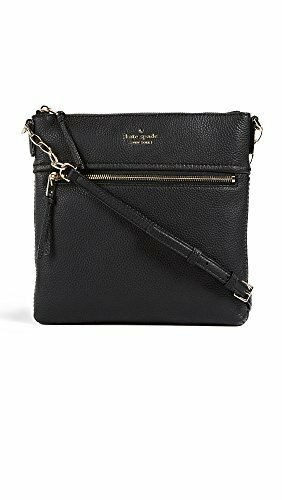 I own several Kate Spade leather crossbody bags in different shapes and colors and they have stood the test of time and many adventures. 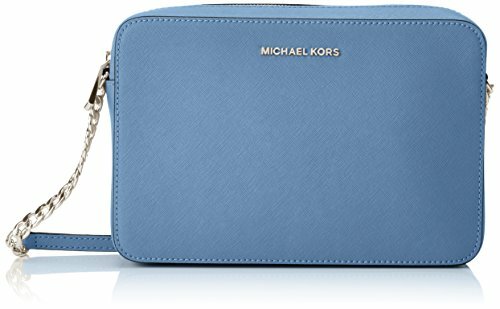 Michael Kors – founded on the principles of glamour and affordable luxury, you can rely on Michael Kors for bags that will last for years and are useful additions to any wardrobe. 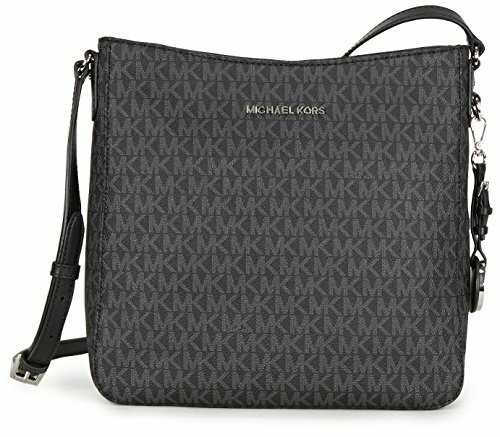 In my opinion this brand makes some of the best designer crossbody bags for travel. Fossil – a go to brand for high quality classic leather colors and shapes. Fossil prides itself on its commitment to quality and sustainability. This bag ticks all the boxes for a great travel bag even though it was not specifically designed for this purpose. It is lightweight, practical and chic. This crossbody’s sleek classic look will take you from day to night looking polished while holding all your essentials. Keep your belongings organized and secure within the zippered compartments and adjust the strap for your body shape. The Kate Spade Melisse is available in 6 different colors /color combinations. 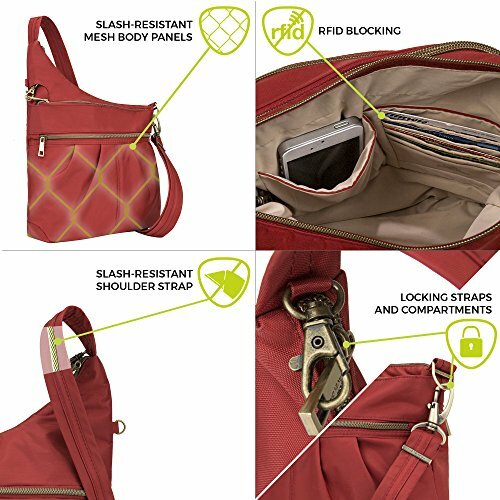 A very practical bag with built in security features. Travelon are experts in travel security and this bag has been manufactured with its special anti-slash material. If you need some extra room this bag is expandable and will hold larger items such as a camera with ease. 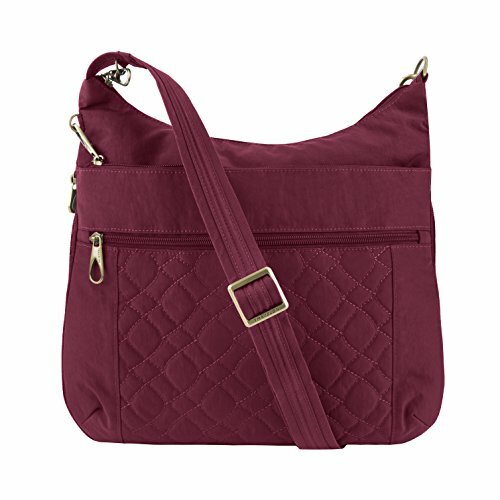 The quilted bag range comes in 5 classic colors. If you are looking to inject a little glamour into your travels Michael Kors makes stylish and useful purses that are sure to be complimented. This bag comes with a zippered closure for security and has internal pockets and a snap magnet exterior pocket. It is made with the brand’s signature coated twill material and comes in 4 classic colors. Tropical and beach vacations call for lightweight bags with room for beach gear – a hats, sunglasses and sun screen. We love these colorful lightweight bags by Le Sportsac. 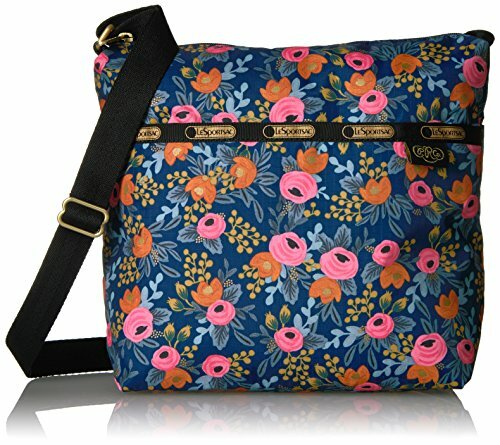 Cross body bags for women are the best purses to travel with because they meet the requirement of being both practical and stylish. These days you can find a bag that suits both your travel and fashion requirements from a wide range of brands. If you want to look polished on your travels then an investment in a high quality crossbody bag is a must. What is your favorite bag to travel with? Untold Morsels assists our readers with carefully chosen product and services recommendations that help make travel easier and more fun. If you click through and make a purchase on many of these items we may earn a commission. All opinions are our own – please read our disclosure page for more information. Untold Morsels is a participant in the Amazon Services LLC Associates Program, an affiliate advertising program designed to provide a means for sites to earn advertising fees by advertising and linking to amazon.com, amazon.co.uk, amazon.ca, amazon.de, amazon.fr, amazon.it and amazon.es. Amazon and the Amazon logo are trademarks of Amazon.com, Inc. or its affiliates.